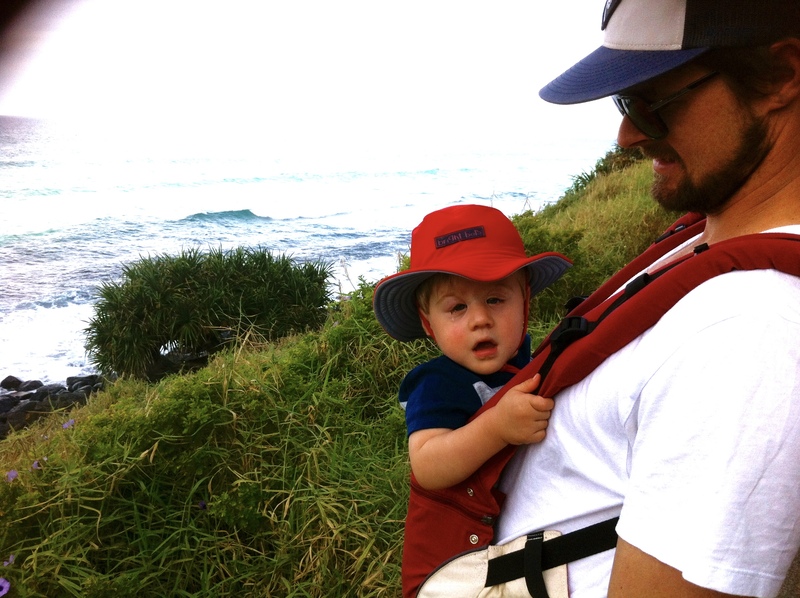 Here is a brief run down of my experience with three different soft structure baby carriers. When buying carriers remember you can always search on eBay or gumtree for second hand options, I bought our Ergo 360 for much cheaper and it was only used twice. I have also resold the carriers I no longer use. This is the first carrier I used and I certainly hold a soft spot for them. I started wearing Boston at about 12 months of age, then used it again with Ruby from a newborn till around three months. 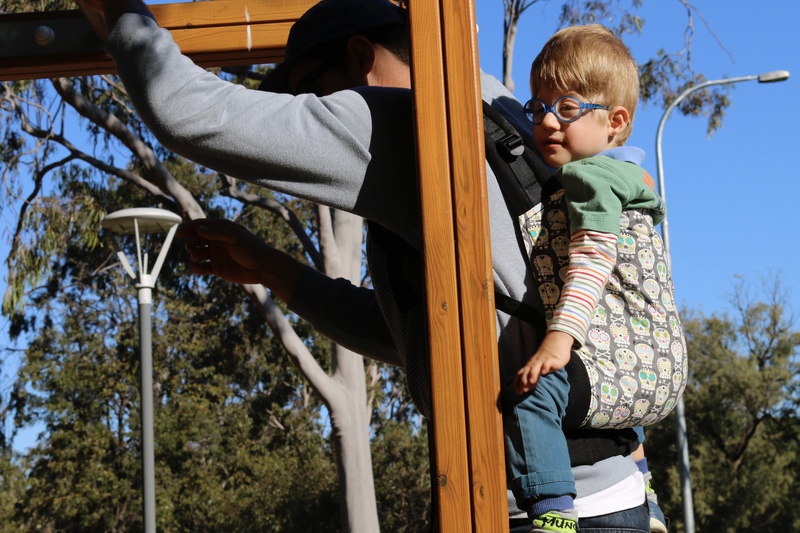 Zipped section opens up to give you extra length; great for when baby is sleeping or as they grow taller ( I still carried Boston in our Manduca at 2.5 yrs). 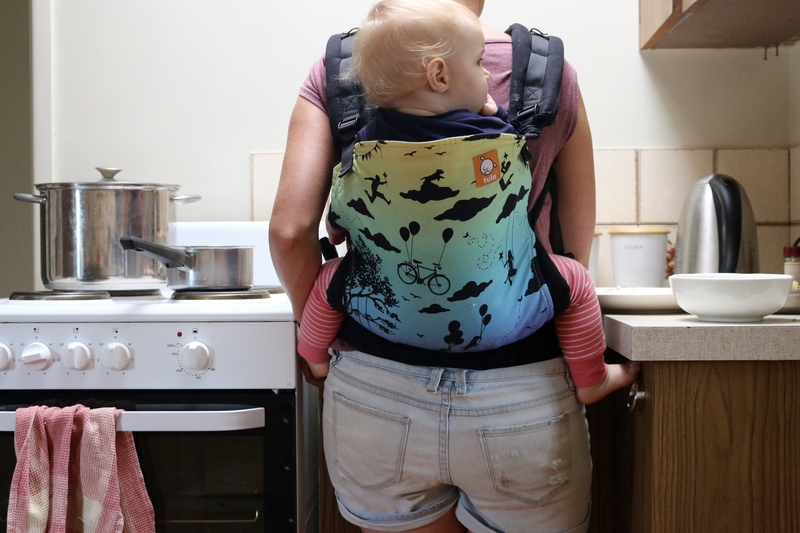 My favourite aspect is the built in newborn pouch, a little tricky at the beginning but much easier then long wraps when you have a toddler to chase. The hood could be bigger, I just felt like there was never enough coverage. My husband could never get comfortable with this carrier, it did not seem to fit his tall frame. The waist band and arm straps are not as comfortable as other carriers I have used (maybe a padding issue). When Ruby hit three months of age she went through a stage of wanting to face outwards. At the time we were interstate and walking everywhere, so after a couple of days of her protesting the carrier and getting held facing outwards I got an Ergo 360. Super happy! Really easy to convert into different positions. Because the carrier is convertible to front facing the trade off is a seat that is narrowerthen an original Ergo. I found that by the time Ruby hit ten months she was not being supported in the best position, and we stopped facing her forward around 7 months for the same reason. When Ruby grew out of the Ergo 360 I went back to our Manduca only to realise it wasn’t quite as comfortable as I remembered. 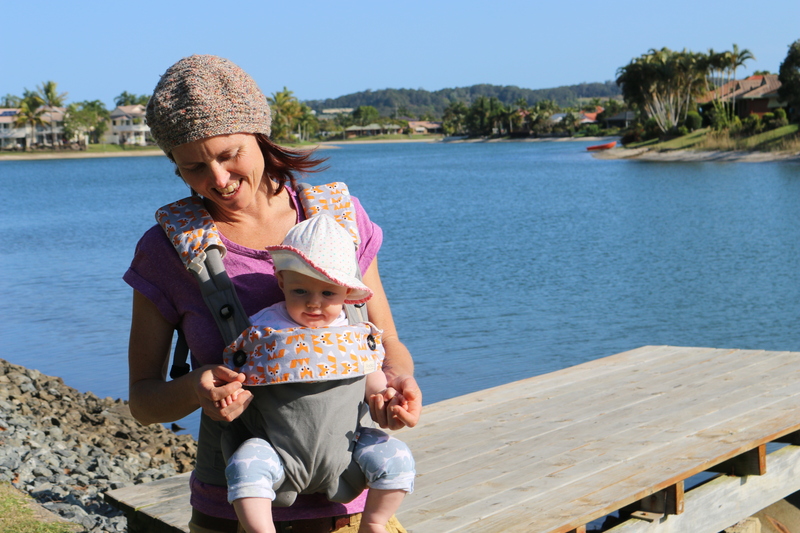 We had bought a Tula Toddler for Boston and were really happy, so we went ahead and invested in a Tula Baby too. Come in two sizes Baby 7 to 20kg and Toddler 11 to 27kg. Keep in mind that Boston is only 15kg but needs a toddler size because of his height. As in, height matters just as much as weight. The baby/toddler seat of the carrier is not adjustable at all. It is one solid piece of fabric. So where ever it happens to come up your child’s back, that is where is is staying. Some carriers (including the Manduca and Ergo 360) have zip extensions or flaps that fold up or down. These give you a little more control on how your child is supported, sometimes they may want the arms in, or sometimes out. I was happy with the Tula Toddler size for Boston but a little disappointed that the baby size didn’t come very high up Ruby’s back (keep in mind she is still way too short to upgrade to a toddler size). The hood is quite small and detachable, I almost never have the hood with me when I need it. In fact I am not entirely sure where I have left them….or my keys for that matter.